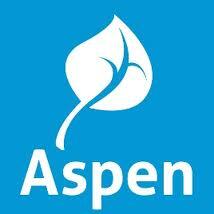 My first review of various SISes is that of Aspen by Follett. When Highlands Community Charter School recently was looking to switch to a new SIS, Aspen was in our top 3 choices, and only barely lost out to PowerSchool. During our review process, I had the chance to look at a sandbox system (demo) of their product for about a week, and we asked a lot of questions to their sales rep, Dylan Holcomb. As a matter of disclosure, I should note that Dylan was a friend from high school, but I think this review is fairly objective, as there are clearly things I don’t like about the product, along with many things I really like. I have written about Aspen previously also. For over 10 years I’ve worked with about 7 different Student Information Systems (SIS), too one degree or another. Since I have generally worked with these both from the back-end (database administrator and institutional researcher) as well as from the front-end (teacher and school administrator), this puts me in a fairly unique position to be able to compare the advantages and disadvantages of each system. Thus, I thought I should share my thoughts on the different SISes that I have had experience with, in order to help schools and school systems in choosing one.